AADF Co-CEOs, Martin Mata and Aleksander Sarapuli, and the Cultural and Eco-tourism team, closely briefed Ms. Margariti with AADF’s projects in the field of cultural heritage and tourism. The minister appreciated AADF’s work and expressed the continuation of future collaboration with current and future projects. Introduction to the Minister of Education, Mrs. Besa Shahini of AADF’s projects for Education and Leadership Program. Introduction to the designated Minister of Education, Sport and Youth, Mrs. Besa Shahini of AADF’s projects for Education and Leadership Program. 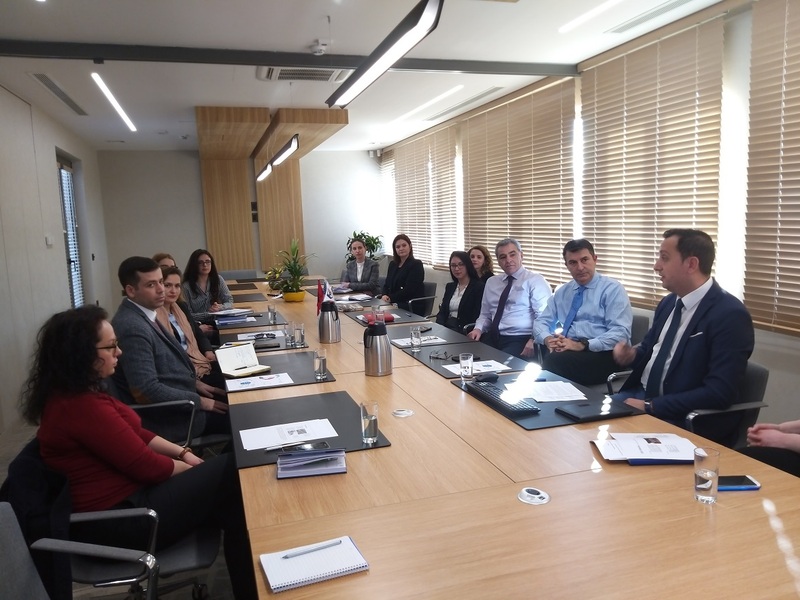 Mr. Martin Mata and Mr. Aleksander Sarapuli, AADF Co-CEO’s, together with the education team, closely briefed Mrs. Shahini with AADF’s projects in the field of education and leadership, the challenges and future plans. After a fruitful conversation, Mrs. Shahini appreciated AADF’s work and its projects, expressed her commitment to foster cooperation for new projects to be implemented in such fields. Introduction of the AADF projects for Entrepreneurship Program to the Minister of State for Entrepreneurship Protection, Mr. Eduard Shalsi. 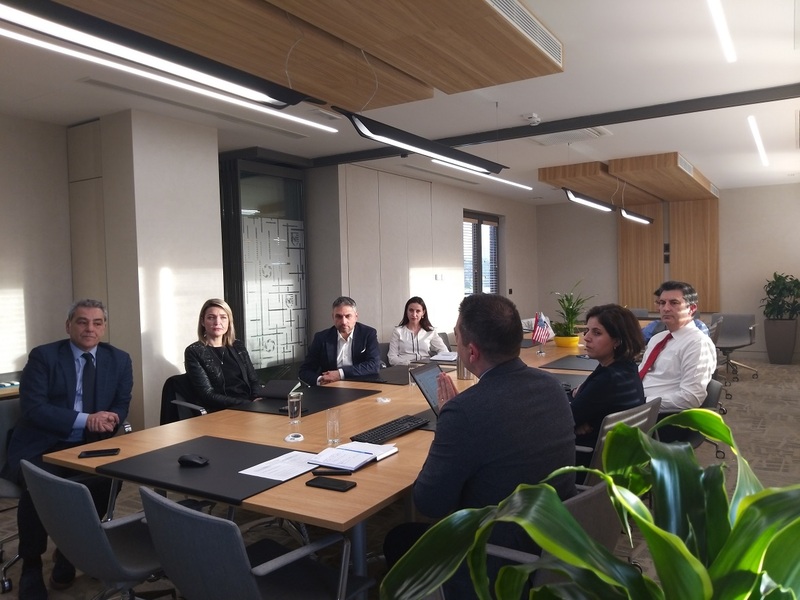 AADF Co-CEOs, Martin Mata and Aleksander Sarapuli, and entrepreneurship team, closely briefed the Minister with AADF project in the field of entrepreneurship, the challenges and the future plans. The Minister appreciated the work of AADF and its projects, and expressed his commitment to foster cooperation and further develop the associated projects. The interview of Mr. Michael Granoff, Chairman of the AADF Board, at the ABC News, with journalist Mirela Milori. AADF in cooperation with the Ministry of Education, Sports and Youth organizes the activity “AADF – Strategic Partner in Education”, were attended by the Prime Minister of Albania, Mr. Edi Rama; the AADF Chairman Mr. Michael Granoff, Minister of Education, Sports and Youth Ms. Lindita Nikolla, the AADF Board Members and Co-CEOs, as well as representatives from public and private educational institutions of pre-university and higher education, in Albania. Establishment of the School of Leadership for Pre-University Education – After a one-year period of research and study on international models in the field of education management, the AADF and the Ministry of Education, Sports and Youth signed a Memorandum of Understanding in November 2017 for the establishment of an independent institution that will enjoy the exclusivity for training and certification of the directors and deputy directors of pre-university education institutions in Albania. This memorandum paved the way for the cooperation between the two institutions to enrich the legal and regulatory framework for the functioning and organization of the School of Leadership, that continues today with the signing of the agreement on co-founding for this institution. The ongoing steps that are expected to be undertaken by this institution are: Countrywide study to identify the needs for training of directors/deputy directors and development of the curriculum based on the findings of this study. AADF funding for this project is $ 2.9 million for the next 10 years, while the Ministry of Education, Sports and Youth has provided the premises where the administration of the School of Leadership will be established. Signing a Memorandum of Understanding for the implementation of the CleanScore project – The project started its implementation in June 2016, initially involving only two higher education institutions. During the two years of implementation, the project has been joined by two other institutions and more than 30,000 tests have been scored with the CleanScore technology and methodology, also an international book on entrepreneurship has been translated and published. Three more books in the field of economy are in the process of translation and will be published by the end of 2018. By signing this Memorandum of Understanding, the AADF investment for the period 2019-2024 is formalized for the extension of technology to 14 scoring offices throughout Albania and the translation of 10 new books in the field of economics and teaching. 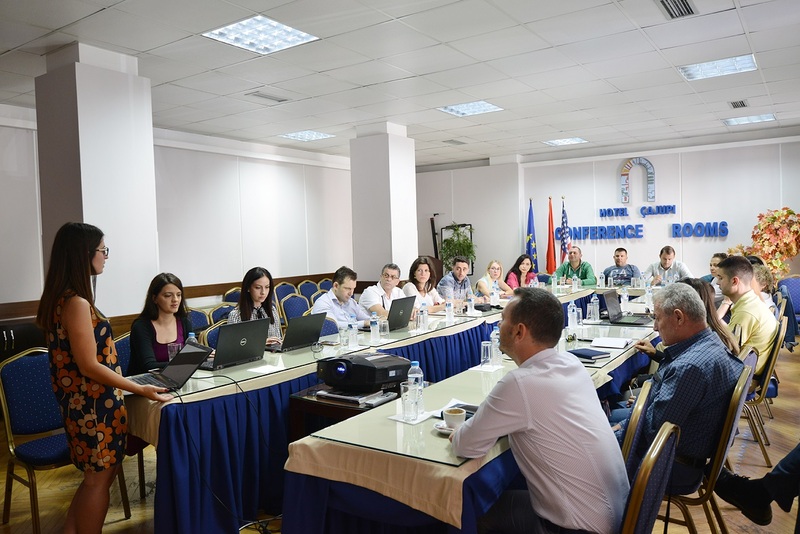 Also, the project’s goal is to build the first electronic platform for academic literature in Albanian. AADF funding for this project is $ 2.7 million for a 6-year period. Signing a Memorandum of Understanding on Improving the Education Services Center (ASC) – This project started in June 2018 and the first phase will be completed by the end of 2019. The AADF analyzed different models of similar institutions in other countries around the world, while the Albanian Government has provided the new building for the ESC, which will enable the improvement and expansion of centers activities. In addition, AADF will provide expertise in drafting the relevant legal framework for ESC to become an independent institution, both financially and operationally. Prepare a business plan to operate the new model and will also donate ESC the necessary equipment for the preparation, production and scanning of tests. AADF funding to this project for next year is $ 410,000. The event was concluded with the inauguration of the offices where the administration of the School of Leadership for Pre-university Education Institutions will be established and operate. The three above projects are a continuation of a $ 32 million investment by AADF to enhance quality, transparency and innovation in the Albanian education system. An intensive working weekend with BID / TID administrators / consultants and board members was organized on June 29th – July 1st in Gjirokastra. 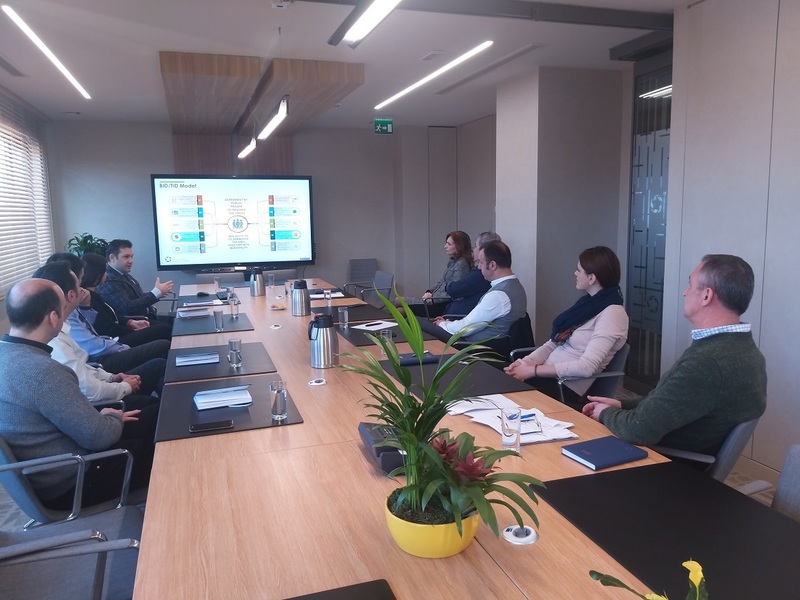 The meeting aimed at strengthening the BID / TID network in Albania and also to report and discuss on mutual issues and improvement instruments for the area and association’s work. During the meeting there was plenty of interest and discussion regarding the various instruments used by the associations to improve financial sustainability and the services that each association provides to the businesses in the respective areas. The meeting was also welcomed by the Mayor of Gjirokastra, Zamira Rami, who appreciated the cooperation and partnership with AADF for the social and economic transformation of the Gjirokastra Bazaar area and further. To enhance the experience, the group participated in the artistic event “The true Apology of Socrates” by actor Mirush Kabashi, organized in the premises of Odeon. The event that was attended by around 1,200 persons, was organized by businesses of the TID area with the support of TID Gjirokastra association, Gjirokastra Municipality and AADF. The visit to the TID ​​Gjirokastra and the meetings with the businesses of the area enriched even more the participants’ experience in the study tour. A team of local and international experts engaged in the evaluation of applications which in general were very good. At the end the jury concluded with the following shortlist of excellent teams that will continue in the second phase. The interview of Mr. Michael Granoff, Chairman of the AADF Board, at the Voice of America, with journalist Ilirjan Agolli. The AADF and the Faculty of Economy of the University of Tirana hosted an Open Lecture for Undergraduate and Graduate students. 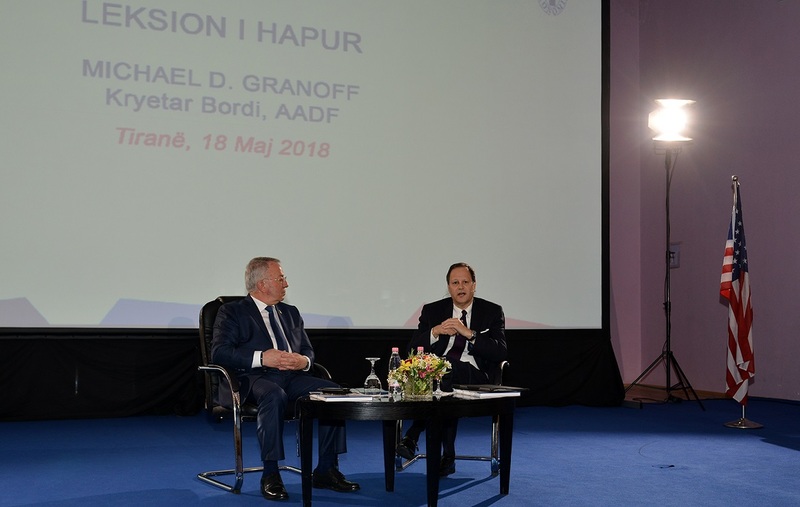 AADF Chairman Mr. Michael Granoff spoke about the beginning of the Albanian-American Enterprise Fund and the impact it has had on the Albanian economy. He also discussed the establishment of the foundation and the areas where the foundation operates. He addressed impact and the criteria used to measure success (i.e. touching as many people as possible and improving the leadership of the country). Mr. Granoff stressed that to achieve success and to remain successful all organizations that operate in dynamic environments should embrace change and innovation, while remaining loyal to the core values ​​of their mission. He highlighted the importance of education and used the education system in the U.S.A. as an example since American students have the freedom and are encouraged to explore different fields before deciding what profession they want to pursue. Finally, Mr. Granoff said that Albania’s leaders should think of the country as a company that competes in the market for foreign investments and for tourists in order to achieve success. At the end of the lecture, a Q&A was held and students were able to directly ask Mr. Granoff questions.